Medical Media Images Blog: Tiger Woods re-injures his Low Back at Bridgestone: Is this the beginning of the end of his career? Tiger Woods re-injures his Low Back at Bridgestone: Is this the beginning of the end of his career? Today Tiger Woods had to withdraw from the WGC-Bridgestone Invitational after "jarring" his back. It happened on the 2nd hole when he fell back into the bunker. Following the injury, he suffered from sever back spasms and had to withdraw from the tournament. Could this be the beginning of the end of his career? Tiger had been struggling with back pain and sciatica since last summer, starting in the final round of the PGA Championships. After 9 months of severe symptoms related to a Disc Herniation, he underwent a "Microdiscectomy" Spine Surgery by Dr. Charles Rich in Park City, Utah on March 31st. Both, the choice of Surgeon and location were unusual. Dr. Rich is essentially an unknown in Spine Surgery circles. Also, Park City, Utah is a Sky Resort community, not a Spine Surgery Mecca. Why did he go this route rather than having the surgery performed by one of the many well-known expert Spine Surgeons in the country? Given Tiger's status and connections, it appear very likely that he was evaluated by the experts in the field. However, it is equally likely that they advised against Surgery. Why? A Microdiscectomy removes the herniated piece of the Disc, but it does not "fix" the Disc. The disease of the Disc which let to the herniation cannot be fixed. In addition, the surgical dissection itself can cause new back problems. Muscles have to be separated from their attachments to the Spine, and more importantly, some bone has to be removed from the Spine Joints (Facet Joints). The end result is a loss of the Spine's stability. While this may be negligible for the average person, it can spell disaster for a Professional Golfer at Tiger Wood's level. A full Golf Swing produces tremendous forces in his Spine. Even a small amount of scar tissue or instability can have major consequences. With that knowledge in mind, the expert Spine Surgeons would have likely recommended against the Surgery. This may explain the highly unusual choice of Surgeon. Tiger was likely desperate to return to his career and maintain his endorsements and had to find someone who was willing to take the professional risk to operate on him. Unfortunately this may have been a mistake which may prove fatal for his career. The fact that a simple step back into a bunker caused severe back pain and spasm is not a good sign. It is an indication that his Spine is lacking in stability and strength. Did he return too early from Surgery? Possibly. Like any professional athlete, life without competition seems like no life at all. So, what now? In the coming days, Tiger will undergo another MRI to evaluate the diseased Disc. If he re-herniated the same Disc, his options are dwindling fast. Most Spine Surgeons would approach this situation with the utmost level of conservatism, meaning no further Surgery in the near future. He would be treated with anti-inflammatory pain medications, steroid injections and physical therapy. He would also not be expected to compete for at least several months, likely longer. After that, he would basically repeat a slow spool-up to another tournament. From there it becomes a waiting game to see if the symptoms return. What are the chances that Tiger's back can be "fixed" and he can go on to live out his dream career? In short, slim. His future surgical options are all fraught with potential problems and complications, which make it very unlikely to maintain his career. If he suffered a re-hernation of the same Disc, another "Microdiscectomy" or more aggressive "Discectomy" holds no promise at all. More scar tissue and more instability would potentially make his Spine worse. A Spine Fusion Surgery would remove the mobility at one level in his Spine and place a high level of stress at the other levels in his Spine. Artificial Disc Replacements were not designed for the type of forces generated in Tiger Woods's spine. They could migrate or fail. 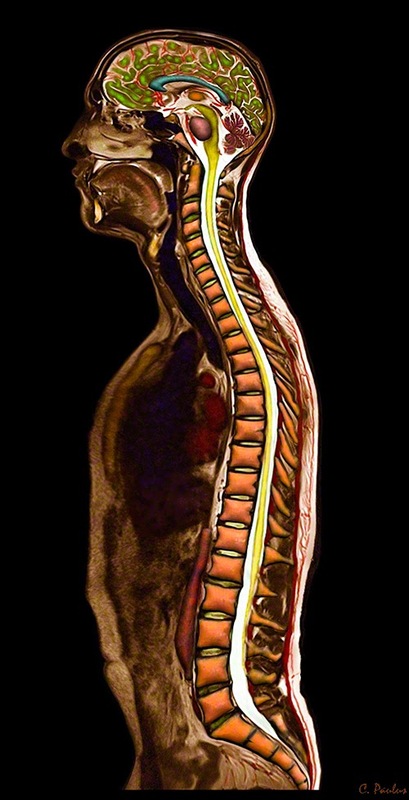 Stem Cell treatments try to reverse the degeneration of a Disc, but do not treat a Disc Herniation, especially a re-herniation after Surgery.